This was originally published at The Sports Column. The elephant in the room is increasing income inequality—the outlandish incomes and escalating growth at the top of the income chain. Perhaps nowhere is that situation more evident than in athletics. Last month we saw two record-breaking salaries. The Phillies’ Bryce Harper signed for $330,000,000. Mike Trout of the Angels signed for $430 million. While it would be easy to focus attention only on the highflyers of professional sports, that’s far from the only place where we have a problem. In college sports, the coaches—not the players—are raking in an outrageous amount of cash. For example, Duke’s Mike Krzyzewski makes $8.9 million a year, and twenty-six other coaches make at least $2.5 million annually. That includes the 2019 Final Four coaches: Tom Izzo (Michigan State), $4.36 million; Chris Beard (Texas Tech), $3.17 million; Bruce Pearl (Auburn), $2.57 million; and Tony Bennett (Virginia), $2.43 million. What makes the data especially problematic is that all of the Final Four coaches work at public universities. Worse yet, those huge salaries fit a larger narrative nationally: college coaches dominate the list of the highest income earners among public employees across the country. How might we interpret those data through a broader lens? Let’s compare coaches’ salaries to the annual salaries earned by other public officials. And what about high-ranking officials in the states represented in this year’s Final Four? In Michigan, the state’s governor would have to stay in office for nearly 28 years to match one year of Izzo’s salary. Alabama’s senior Senator Richard Shelby would need to serve 15 years to match Pearl’s annual paycheck. The median U.S. household income is $61,372 per year. That means it would take about 40 years for an American household to earn what a high-end major college basketball coach makes in one year. I know that coaching others is a noble profession. Most coaches love what they do, and getting paid for what they love to do is a gift. But nobody needs to make more in one year from doing what they love than what a typical family makes in a lifetime. That’s what makes this situation outrageous! It might be different if we didn’t have nearly 40 million of our neighbors living in poverty, but we do. And if such inequality exists in public institutions, where in the world is the toe-hold to bring about systemic change? Here’s a place to start. University trustees—especially those at public institutions—need to reassess institutional priorities, including putting the public good ahead of shallow gains associated with winning games and seeking athletic championships. There are far more important ways to invest public resources—things like investing in the liberal arts, enhancing the financial status of part-time faculty, and improving salaries for hourly laborers who toil in custodial, food service, and other support areas across our universities. The list of constructive things to do is long. The current situation—in public good terms—is indefensible. 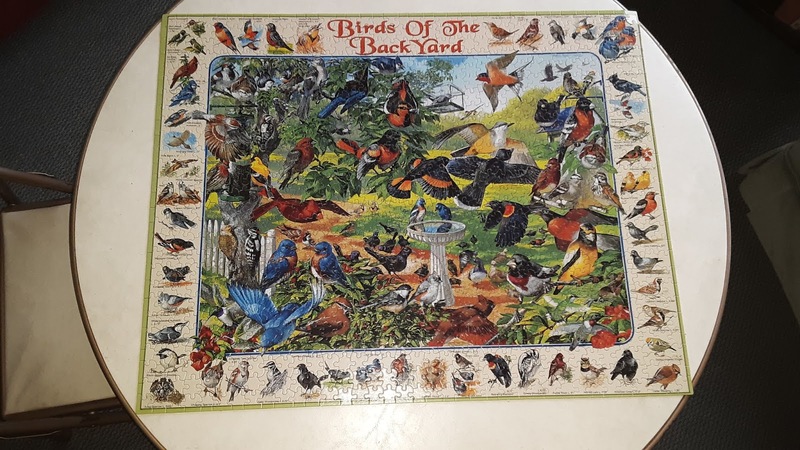 Putting together a 1,000-piece jigsaw puzzle seems an appropriate metaphor for the challenges ahead of us as a human family. This one took my wife, Ellen, and me, about a week of coming and going. It was a good activity for some frigid, snowy days and evenings. We didn’t count the hours, we simply hovered over the table when the spirit pulled us, either separately or together. We began, as is our practice, by enclosing the frame or establishing the boundaries. From there it was looking for connections of color and shape, using the photo on the lid of the box for clues. It was interesting how many times one of us would hold a piece and not see where it fit, and the other immediately did. I think this approach has some merits to our current challenges. Nearly twenty years ago people of many nations came together to produce the Earth Charter that emphasized humanity was at a critical moment. It was also at the cusp of launching the Millennium Development Goals, and three years later the release of the Millennium Ecosystem Assessment. A few trends have been slowed or redirected, but as recognized when the new Sustainable Development Goals were agreed to by all member states of the United Nations in 2017, we are losing the race to sustainability on many fronts in most every nation. Those 17 Global Goals, with their 169 targets and 232 indicators, give us all much to do. In their sheer number and breadth it can certainly seem like more than any of us can comprehend or handle, even if we were to take them each up separately. Thus it might be easier if we could somehow consolidate them in a useful way without losing the necessary detail. Unbeknownst to me and I suspect 98% of the human family, there has been an international team of scholars wrestling with all of this for years. Late last year the International Panel on Social Progress (IPSP) laid out in much detail a possible direction to head. IPSP is an international effort of more than 200 social scientists from every continent representing all the social sciences to try to find a way forward for the entire human family together. 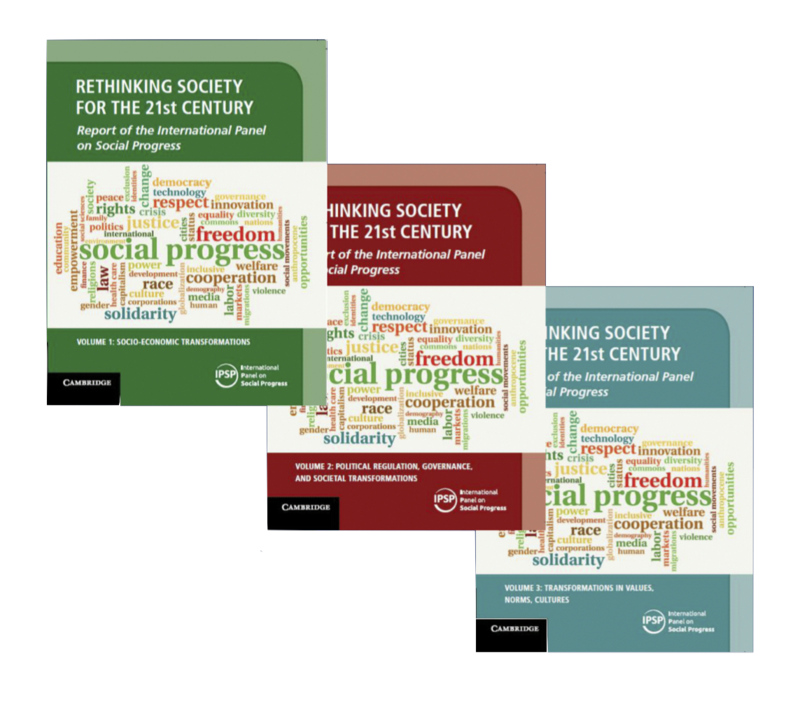 I have not read the three volumes, Rethinking Society for the 21st Century. 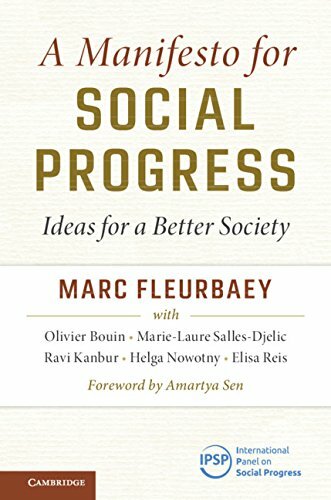 In fact, I wouldn’t know it existed had I not stumbled on A Manifesto for Social Progress: Ideas for a Better Society, which is a shorter overview of this colossal enterprise written by some of the principal leaders of the effort. The authors immediately concede after pointing us in this direction that there will be a natural tendency to attempt to work on any two of the three goals. They go on for several pages with scenarios for any combination of two goals sought while one is missed, whereby all of the scenarios end badly. While there is consensus in the “direction” the human family should go for true social progress for all, the route they agree on must be worked out. But even getting our communities to support these basic three goals would be a huge step forward. While we delve deeper into the individual goals we are apt to lose the importance of their collective wholeness. Recent revival of interest in Goethe’s notion of “wholeness” in nature shows some hope that we might begin to grasp its importance, that in focusing on the parts we miss the whole. Scientific reductionism has led to many important breakthroughs, discoveries, and new understandings of our world and our place in it, but it has left in its wake an increasing array of largely unintended consequences which we are handing down to current and future generations to struggle with – ecological destabilization and extreme inequality being two prime examples. Following a long dissection of how the existing rules further increase inequality, Schwalbe offers in his final chapter, “Escaping the Inequality Trap,” a few possibilities. Of course one danger of diagnosing a problem is the possibility of discovering that it has no solution. No doubt some readers feel this way about the persistence of inequality. It might seem that the game is so securely rigged that it can’t be changed. But then history should tell us that this is not true; the social world is always changing (just look back and see where we came from). What’s more, the only thing worse than a grim diagnosis is no diagnosis at all, because then you have no idea where to look for a solution. In previous chapters I’ve shown where some of the problems lie. Now I want to use that analysis to suggest how inequality could be greatly reduced, if not (yet) abolished entirely. I don’t mean that I can offer a blueprint for change. But what I can do is to suggest, in general terms, what needs to be done to nudge change in the direction of equality rather than away from it. If we can see what holds inequality in place, we ought to be able to figure out something about how it can be shaken loose. In his book, Imagining the University, emeritus professor of higher education Ronald Barnett (University of London) calls on us to reconsider a feasible utopia and to place the idea of the university within it. Barnett lays out the need for such ”freeing the imagination” exercise, challenges the recent and dominant ideas of a university, and provides the scaffolding for constructing approaches to the positive possibilities that are called for as the human family stares into an increasingly complex and fragile future. Why does this matter, and why does it matter at this particular time? At the very moment when the idea of the university should be opening out, it seems to be closing in, at least in the public imagination. The idea of the university has, of course, undergone many shifts and been subject to varying conceptions over time. For some hundreds of years, the idea of the university was - as it might be said - that of the metaphysical university, reflective of inquiry that enhanced humanity's connections with God, or the Universe, or Truth, or Spirit, or even the State. That conception gave way to the research university, which is now giving way to that of the entrepreneurial university, which in turn is closely allied to the emergence of a tacit idea of the corporate university. What is striking about this conceptual journey that the idea of the university has undergone - over nearly one thousand years - is that it has gradually shrunk. Whereas the metaphysical university was associated with the largest themes of humanity's self-understanding and relationships with the world, the idea of the university has increasingly - and now especially in its entrepreneurial and corporate incarnations - closed in. The entrepreneurial university is expected to fend for itself, and attend to its potential impact on particular segments of the economy, and become distinctive. This university has abandoned any pretence to be associated with universal themes. Barnett argues that "imaginative ideas of the university are in short supply and that there are - if only embryonically - many ideas of the university close at hand." He claims that the powers that be resist opening it up to alternative ideas. While his aim is specific to the idea of the university, I find his insights into the usefulness of imagination and the birthing of new ideas particularly compelling. In fact, the need to use his approach for rethinking our economic and political systems in the face of globally shared dilemmas seems perhaps even more essential at the moment. As has been my practice for a few years, three years ago (almost to the day) I was browsing the new-book shelf at my university library-- they shelve perhaps 100 new titles a day and leave them up for a week. So my chances of even seeing them there is quite iffy. And I certainly don’t look at every book. I skim by call number (subject) and then by title. The title of one paperback that caught my attention was Change Everything. Well, I get this far with lots of books. But after reading the rest of the salutary blurbs, a few from names I knew and respected, and reading the forward and his preface, I determined that this was at least worth some investment of my time. Felber, it turns out, is an Austrian economist who writes in German. So the book in my hands was a translation by Susan Nurmi. Boy, am I glad she agreed to do this!! As is my inclination, especially in fields where I have some reading experience, I like to glance at the bibliography to see whom the writer reads and cites. While there were a few economists in English I was familiar with – Herman Daly, Tim Jackson, E.F. Schumacher, Leopold Kohr, Elinor Ostrom, Thomas Picketty, Milton Friedman--the majority were from German and French authors I was unfamiliar with, a real bonus. As he says early in his preface, “One of the main objectives of this book is to demonstrate, in concrete terms, that there are in fact alternatives to the current economic order” (p. xiv). 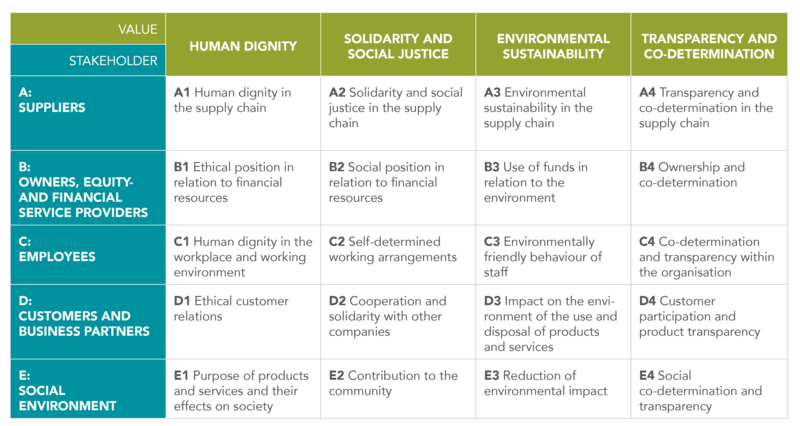 But this is not simply a checklist of what we might do to create an economy for the common good, although there are plenty of specific examples already shared in the book. This is a deeply reflective analysis of why we have the system we have. Felber clearly examines the supposed tenets of our current system and then shows how they are responsible for the shortcomings we see all around us. Two crucial questions pose themselves: what does the “common good” mean and who defines it? As a guiding concept, the Economy for the Common Good has no preconceived meaning except that it signifies how important the well-being of all human beings and the natural world is… the only immanent meaning of the common good concept is that everyone’s well-being counts. Otherwise the concept constitutes nothing more than an umbrella term in the sense of a constitutional goal which sums up the key values of democratic societies. The precise meaning of its individual components can and should be determined democratically. The “common good” is neither divinely handed down nor does it derive from the grace of any emperor. Felber has not only given us some refreshing ideas; he and his colleagues have begun to put many into practice. By the end of 2014 there were efforts afloat in numerous countries, regions and municipalities involving businesses, government, organizations and individuals to employ the ideas for an Economy for the Common Good and the brilliant Common Good Balance Sheet all businesses and organizations should use to assess their performance for the common good. Anyone dissatisfied with the current state of affairs will be pleased to see that another world is possible and is being born. You might even want to join the efforts. There is no better place to begin than with this very important and inspiring book. If you don’t have the time to read the full book there is a video of a talk Felber gave last year in Amsterdam that will provide a cursory introduction to ideas and the guy behind them. Although the video is almost two hours, his presentation from around 6:00 minutes to 46:00 minutes should give you a clue to what we could do to replace the madness of our current economy rules. Felber isn’t alone in imagining a new set of rules for the economy. Check out some of the following new economy sites. The possibilities are plentiful! If there is an author/thinker who always nudges me to rethink possibilities, to question contradictions, and to see things in a new light it’s Charles Eisenstein. 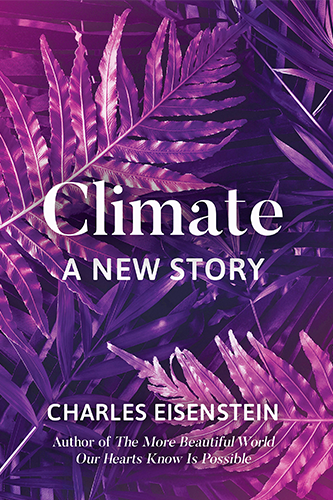 Charles Eisenstein, who has the uncanny ability to look at the world with fresh eyes, has penned an urgent read in my mind: Climate – A New Story (North Atlantic Books, 2018). What a blast of sanity! Eisenstein’s corrective is a bracing piece of work, dazzlingly thorough and eloquent in its articulation. He writes from within an uncannily woke worldview, enacting a full-bodies way of thinking that discerns and feels into the complex entanglement of our lives with every facet of this breathing biosphere. This book is visionary and prophetic, achingly grounded and useful to the max. As Abrams suggests, it is packed with perspective you just won’t find anywhere else. I stumbled upon Eisenstein when he was speaking at a conference I attended in 2012 where he spoke on “We Are Relationship: The Transition to a Collaborative Society.” I was stunned at the wisdom oozing out of this guy and immediately ordered Sacred Economics, which he had just published. It was indeed, like his talk, transformative. This book has a similar feel but comes to us from concerns with the climate as the North Star for thinking about how we might address our human predicament. He begins with a look at the spectrum of how folks think about climate change, from what he labels “Climate catastrophism” = we’re doomed and it’s too late, to the other end, “climate skepticism” = that it’s not happening, or if it is happening it has little to do with human activity, or if it is attributable to human activity, it isn’t dangerous. Eisenstein looks under the covers of all of these points of view. What he suggests is truly eye opening. Flipping the script on climate change, Eisenstein makes a case for a wholesale reimagining of the framing, tactics, and goals we employ in our journey to heal from ecological destruction. With research and insight, Charles Eisenstein details how the quantification of the natural world leads to a lack of integration and our “fight” mentality. With an entire chapter unpacking the climate change denier’s point of view, he advocates for expanding our exclusive focus on carbon emissions to see the broader picture beyond our short-sighted and incomplete approach. The rivers, forests, and creatures of the natural and material world are sacred and valuable in their own right, not simply for carbon credits or preventing the extinction of one species versus another. After all, when you ask someone why they first became an environmentalist, they’re likely to point to the river they played in, the ocean they visited, the wild animals they observed, or the trees they climbed when they were a kid. This refocusing away from impending catastrophe and our inevitable doom cultivates meaningful emotional and psychological connections and provides real, actionable steps to caring for the earth. Freeing ourselves from a war mentality and seeing the bigger picture of how everything from prison reform to saving the whales can contribute to our planetary ecological health, we resist reflexive postures of solution and blame and reach toward the deep place where commitment lives. Given my own work in recent years it would be especially remiss of me to ignore the specific emphasis Eisenstein offers in the last of his suggested policies and changes he urges us to pursue: Demilitarize society. For a video interview with Charles that explores his ideas see here. In recent months, an example of this kind of possibility thinking has come forward in the proposal for a Green New Deal. Like the International Panel on Social Progress it points direction not the route. It addresses several of Sustainable Development Goals at the same time. It is based upon freeing the imagination, humanizing others, and questioning assumptions. In short, it has the spirit and attitude of possibility. The point of this blog has been about conjuring up new ideas and possibilities that might nudge us all toward a better life on a single, finite, and magical planet together. There are no certainties. We really don’t know what is possible until we try. What each of these authors has led me to believe is that there is some deeper harmony between reason, emotion and intuition that makes us human. When we tap it all and find other voices to deepen the harmony we’re better off. Speaking of harmony, if you don't believe change is possible, the story of Playing for Change that started simply with a videographer finding street musicians in various places around the world and then connecting them is a moving antidote to that hardening of the mental arteries. This initial travel experience has now evolved into a global band with live performances and into an inspiring launch of music schools in the developing world. If the story doesn't move you, the music should. Perhaps the anthem for the new age is best represented in one of the Playing for Change Band's version of this song, "A Change is Gonna Come.” Or this just released, “Seeds of Freedom.” Change is inevitable, so be the change you want to see in the world. It's possible!! !